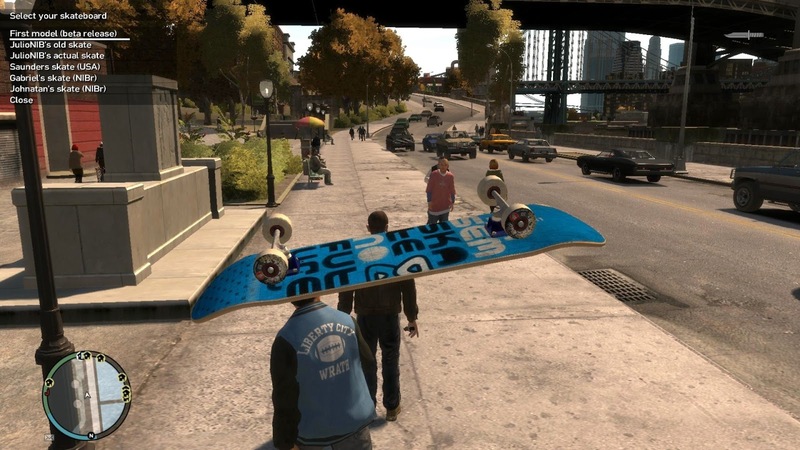 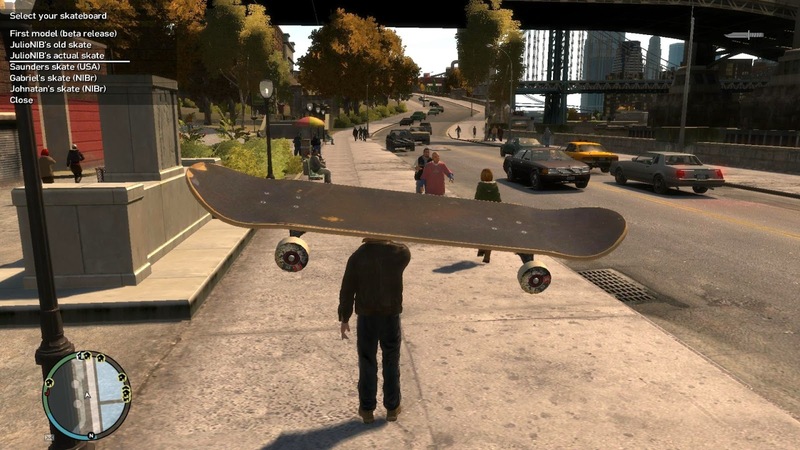 This mod brings a skateboarding feature to GTA IV. 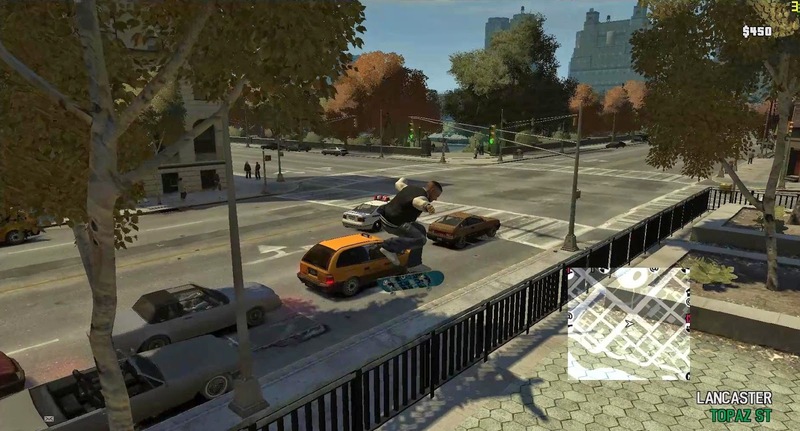 You will be able to perform basic tricks like ollie, flip, heelflip and more difficult ticks like hardflip, airwalk, crailgrab, crooked, etc..
You also will be able to use the half-pipes in the skate parks around the city. 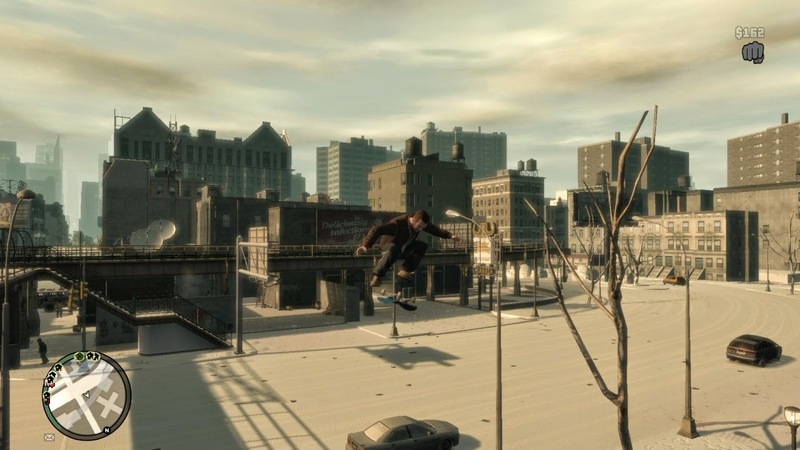 Perform grind/slide tricks in some rails/borders and also create your own grind locations using the in game "grind locations editor". 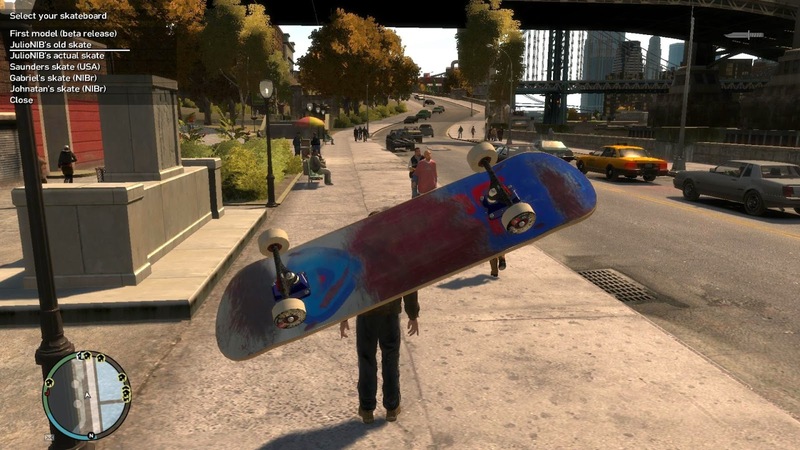 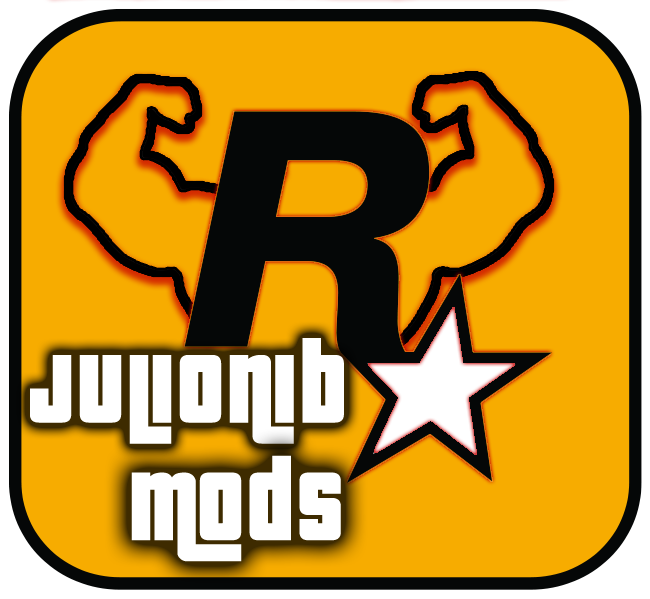 Use move left/right/forward/backward + flip/grab/grind hotkey to perform different tricks, in the mod menu you have access to a list of tricks (also listed below). 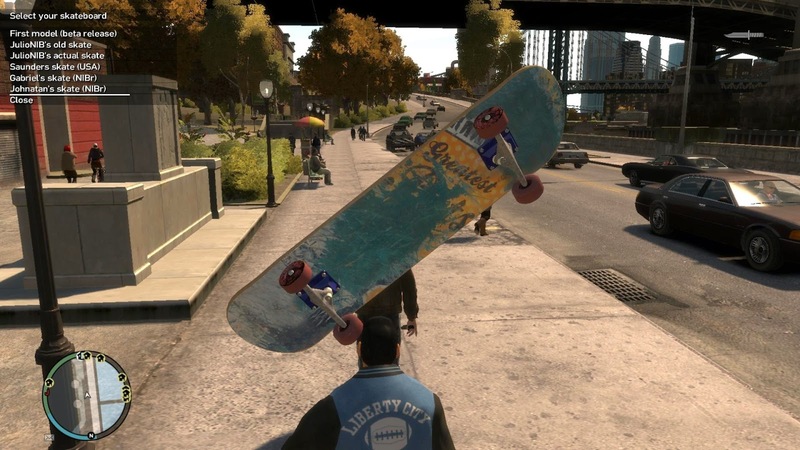 For flip tricks you don't need to perform a ollie before the trick. 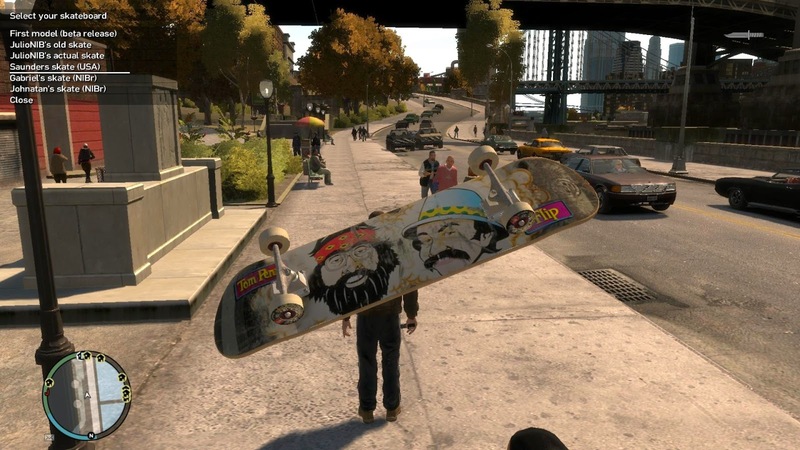 Some new deck photos by Kyle Saunders, Johnatan Willian and Gabriel Quiarato. 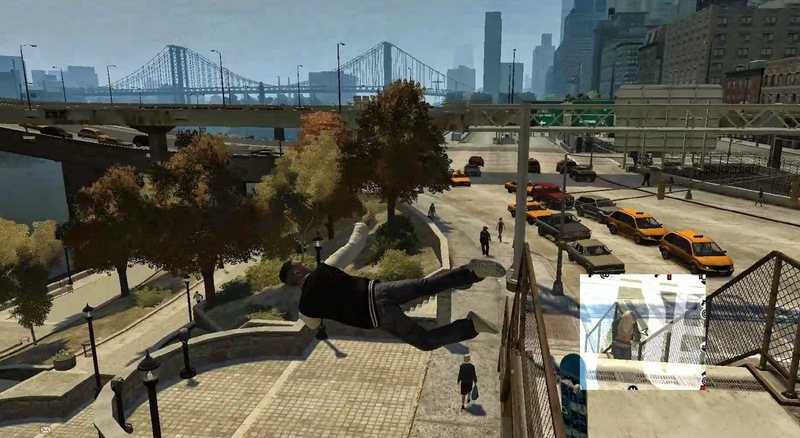 People that made ASI loader, scripthook, OFIO, ShadowsIV and GIMSIV. 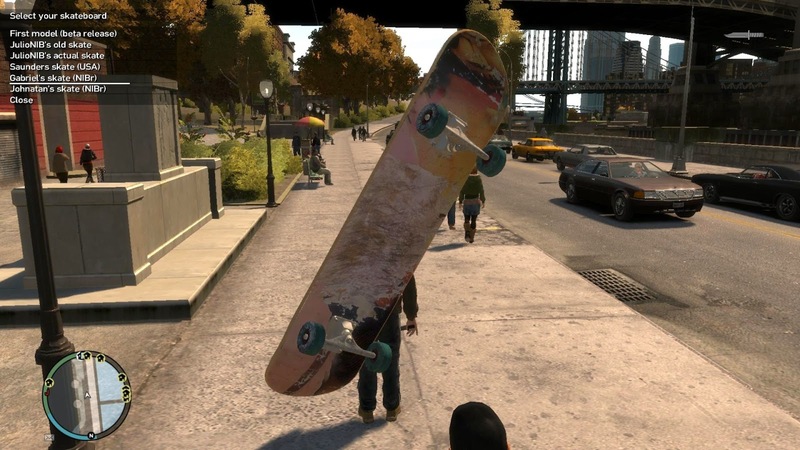 Skateboard model originally made by: Vincent Driard-Sergent and adapted to IV by me.